About the book: Hannah Cho and Nick Cooper have been best friends since 8th grade. They talk for hours on the phone, regularly shower each other with presents, and know everything there is to know about one another. 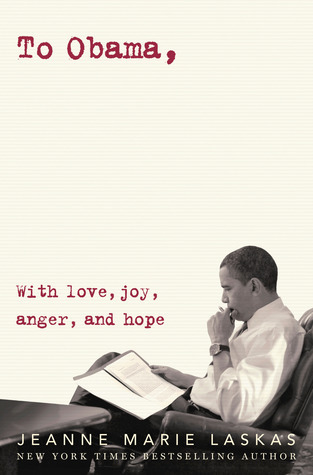 Doesn't this novel sound amazing?! Well, that's because it is! The concept of connecting with your best friend over the internet will resonate with so many readers. Today's society lives and breathes by the internet. Finding a connection with someone, friendship or romantic, across the miles is part of the ordinary these days. However, as someone who grew up in the age of the internet such as AOL and instant messenger, this story really connected to me, bringing forth nostalgia from my younger years. We've heard the horror stories of "meeting someone online" (I may have encountered a few myself), but there's also a reality living and breathing within this virtual reality that allows introverts to really express themselves. I adored this story because it highlights the connection two souls can have through words and texts, yet also shows the reality of what happens when those words come face to face. Sometimes, when I’m talking to Nick, I wonder how we managed to get ourselves into such a bizarre, complicated friendship. At ﬁrst glance, our relationship probably doesn’t seem all that odd. Like right now, it’s the Friday afternoon that kicks off the spring break of my senior year. I’m lying out next to my pool with my feet dangling in the chilly water, my back ﬂat on concrete, and I’m talking to him on the phone. This is how I spend pretty much every Friday from 3:30 to 4:25-ish, before he goes off to band practice and I have one of my various school or family obligations. Sounds pretty normal. But the thing is, Nick lives in a different state, 274 miles away. Yes, I looked it up. As tempting as it is to plot Aditi Singh’s violent end, the only reason she applied to go to the national leadership conference when it should have been a given that the senior class president (aka me) was going was because I got into UCLA and she didn’t, so a big ol’ middle ﬁnger to her. But she can’t see my middle ﬁnger, because she’s in Washington, D.C., for spring break and I’m at home with no plans like a big loser. “You’re right. There is a lot I don’t know about you. I mean, there are any number of huge secrets you could be keeping from me.” I say it just because I’m playing along, but it’s not true at all. I’m pretty sure I know everything there is to know about Nick Cooper. I know when my sister met his brother at a concert four years ago and they told us we should start talking online, he thought I was one of his brother’s friends playing a joke on him until I e-mailed him a picture. I know in the middle of junior year, he shaved his head when his favorite English teacher started chemo. I know the gravelly scratch of his voice when he wakes up in the middle of the night to answer one of my random “I’m bored, talk to me” phone calls. I know the hole in the sleeve seam of the lucky Rage Against the Machine T-shirt he inherited from his brother, Alex, since I’ve seen so many pictures of it. I know his middle name (Anthony), the date and time he was born (September 24 at 3:58 A.M.), and his favorite color (gray). And he knows more about me than absolutely anyone else, even the über-embarrassing stuff. We’ve IM’d, texted, sent a million pictures, mailed each other packages, video-chatted, and talked on the phone. We’ve just never been in the same place at the same time. I don’t think it’s strange to be so close to someone I’ve never met. Yeah, he’s in Nevada and I’m in Southern California, but I talk to him more than to people I’ve been in classes with since kindergarten. I do wish we could go to the movies together or something normal like that, but we watch the same movies at the same time and mock them over video chat, which is pretty much the same thing. Are you dying to get your hands on this novel now??! Well, here's your chance! 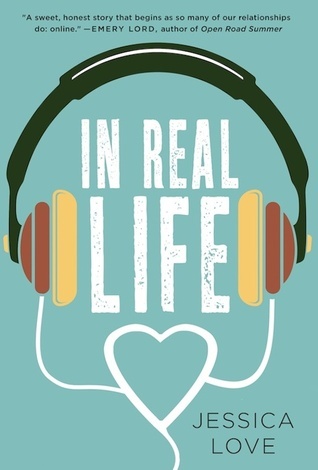 One lucky winner will receive a copy of IN REAL LIFE by Jessica Love, courtesy of St. Martin's. The giveaway is open to US and Canada residents only. Good luck!! Jessica Love is a high school English teacher in Los Angeles, California, where she met her husband and her two tiny dogs online. She is the co-writer of Push Girl with Chelsie Hill. This book sounds so good, thanks for the giveaway! I've made many friends on the Internet throughout the book community. I've had a great experience and have met up with some of them that live in my area. I have! And they're some of my best friends now! Yep, I have made friends on the internet. I haven't met anyone through the internet. I have a Canadian address but rafflecopter might show my location outside Canada because I'm doing a semester abroad. I haven't met many but a few friends of friends and it's been nice chatting with them. I've met many friends through the internet and it's so fun making them and sharing things in common!